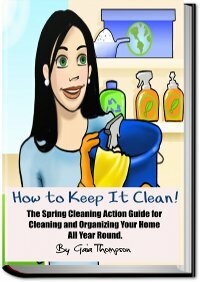 It's time to check your email to secure your copy of "How To Clean Your House". The email contains a confirmation link. In order to activate your subscription, check your email and click on the link in that email. You will not receive your subscription to the "Saturday Morning Cleanup" or your copy of "How To Clean Your House", until you click that link to activate it. Just click on the confirmation link and you're done.